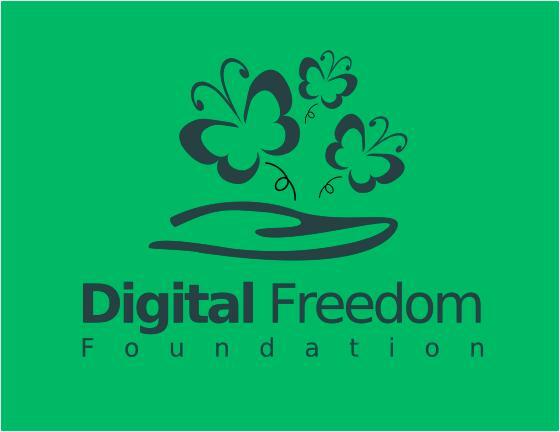 The Digital Freedom Foundation is very happy to announce that registration of its thirteenth edition of Software Freedom Day has just opened. While the wiki has been back online for about a week we were still lagging on the registration. Fear no more, it is now fixed and you can all register your events! On the bright side we have a newly configured server and brand new websites for SFD and DFF. Other sites and efforts are on the way. On the sponsorship side we are keeping the same organizations for SFD, Google being our major sponsor, Linode and Canonical helping us on the infrastructure sides. Full details are available on this page. 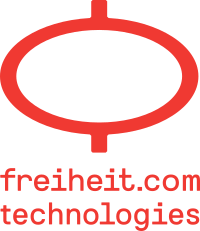 We would like to point out a new additional sponsor for DFD in the name of Freiheit this year (from our perspective). So as usual registration happens after you have created your event page on the wiki. We have an exhaustive guide here at http://wiki.softwarefreedomday.org/StartGuide for newcomers and for the others who need help, the SFD-Discuss mailing list is probably the best place to get prompt support. So get ready to celebrate and happy preparations to all! The Software Freedom Day countdown is ready for usage in English. We are therefore informing translators and also people willing to add a new language that translation can start right now. All the instructions are available on the wiki at this page. The new svg file in English is here. Should you want to run the script from your website and customize it to your liking you can find the source code here and you'll need to add a cron job to run it every 15 minutes if you want to support all time zones. Else every day at 1am is probably fine. Full support available from our mailing list! If you are preparing for your Software Freedom Day events, please create your team page here and registration will be opened shortly, stayed tuned! Happy Software Freedom Day Preparation! 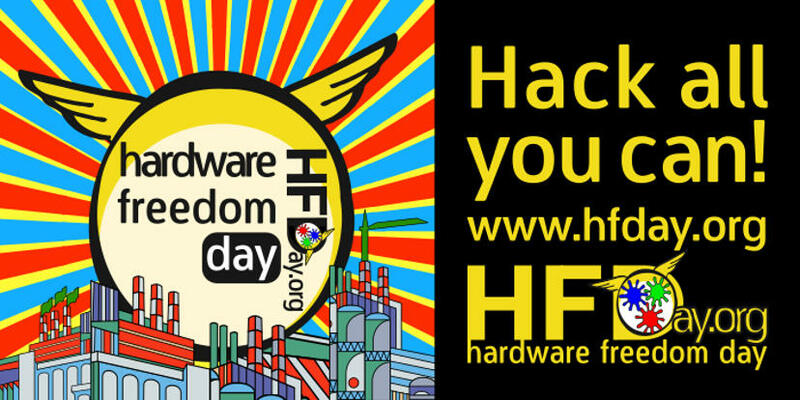 Today is the new selected date for Hardware Freedom Day. We did a community survey a few months back and that was by far the most popular time. While our website is back up the wiki and registration are still down though. Considering the status we're hoping to get things back up and encourage people who missed the date to celebrate a HFD on their schedule. Following up our mail list you may know there are events in Barcelona and India or can simply ping us there. 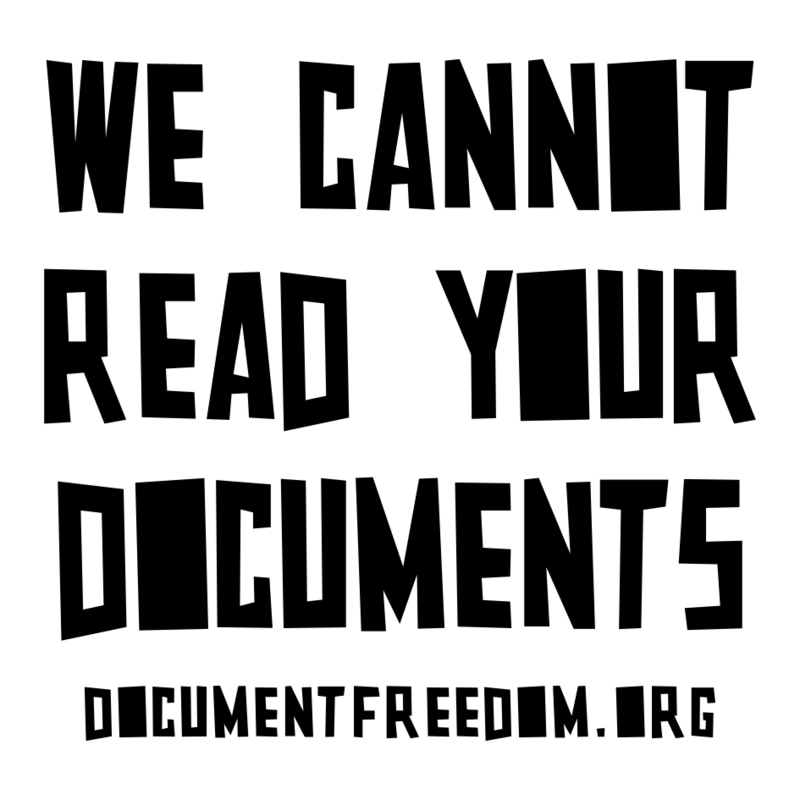 Today is Document Freedom Day. As in the past 8 years we celebrate DFD on the last Wednesday of March all around the world. While the date is recommended this year DFD is being celebrated from March 16th to April 5th so far (we' re still getting new registration as of this writing) . DFD is the international day to celebrate and raise awareness of Open Standards. Open Standards goes beyond essays and spreadsheets and covers all digital formats from artwork, sheet and recorded music, email, or statistics. They provide freedom from data lock-in and the subsequent supplier lock-in. Today people around the globe come together to run local events and let the public know about freedom of information accessibility. Join us by attending an event close to you, help spreading the word or see other ways of how to get involved. Celebrate Software Freedom Day today! Free and Open Source Software has come a long way since its inception and while we're celebrating SFD for the twelth time, the FSF is celebrating its 30th anniversary. Every software company now tends to use Free and Open Source Software but unfortunately that has just set the Software more as a commodity with very little benefit for advocacy, education or awareness. And so, in a world with Free Software used almost everywhere very few people notice or even care. Software Freedom Day is here to tell people why we need to remind ourselves of the importance of Software Freedom and to get all the communities together to celebrate and introduce their philosophy to newcomers. Probably more than ever we need to go out and demonstrate the great many things that Free Software has done and enables everyone to do. As usual events are listed on the SFD Map and should there be no event in your area you can always get together and run one in the upcoming few weeks. On top of all the good things Free Software brings we would also like to remind people that a good way to get started can be through Outreachy, a remote internships in Free and Open Source Software open to everyone regardless of their origins or differences. The next round of internships is from December 7 to March 7 with applications deadline on November 2. Finally we would like to thank all the people making SFD possible and that is our sponsors like the Google Open Source Programs Office, Linode, the Free Software Foundation and our various supporters in the media and community arena. But of course more importantly all the various Free Software communities from Google Developer Groups to Free Software Groups, GNU/Linux User Groups and the various universities interested in Free Software among them. So, Happy Software Freedom Day to all of you!